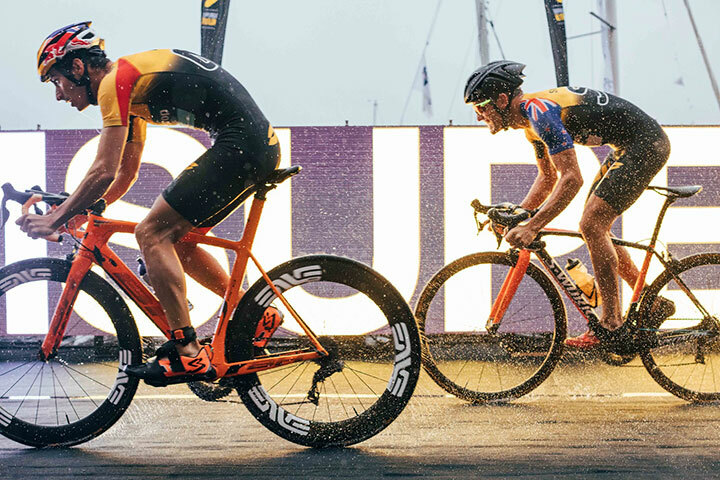 Sunset+Vine will produce and distribute live coverage of all Super League Triathlon (SLT) Championship Series events for 2018-19 after being appointed as host broadcaster. The deal, which includes the production of one-hour highlights shows from each of the five rounds, will also see the company’s distribution business, Sunset+Vine International, take responsibility for securing broadcast deals for the series across all territories. The Sunset+Vine team will be led by executive producers Huw Bevan and Sarah Greene with Stuart Hutchison working as the series producer. Working closely with technical director Mark Dennis, the team will deliver what the company describes as a “flexible, venue-specific production” that will include drones, motorcams and polecams to help it to cope with the challenges of both the SLT event format and the venue terrain. The SLT format mixes long and short course athletes in a series of events features the top 50 (25 male and 25 female) triathletes from around the world. Athletes qualified for the five-event series in one of three ways (equally split between men and women): Automatic qualification from the previous SLT season (20 places), wildcard qualification (10 places) and ‘Golden Ticket’ success at the SLT Qualifiers that took place in Poland and Canada (20 places) in June and August. The first SLT Championship Series event will take place 29-30 September in Jersey and will see the first piece of Sunset+Vine’s content production for the league. This will be followed by Malta (27-28 October), Mallorca (3-4 November) and Singapore (23-24 February 2019), before finishing in Australia (23-24 March 2019).